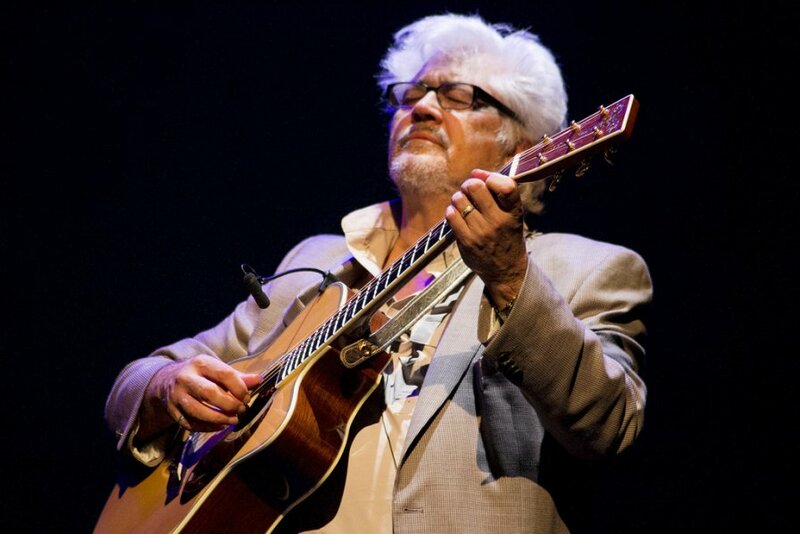 Legendary guitarist Larry Coryell died Sunday (Feb. 19) at the age of 73 in his New York City hotel room, according to statement sent to Billboard from jazz publicist Jim Eigo. Coryell, who passed away in his sleep from natural causes, had performed his last two shows this past weekend at the city's Iridium Jazz Club. Known as the "Godfather of Fusion," Coryell was a pioneer of jazz-rock. He made his mark in the music world with his highly acclaimed solo work, releasing more than 60 solo albums in his lifetime. Coryell performed with mid-'70s powerhouse fusion band The Eleventh House and collaborated with jazz greats including Miles Davis, Gary Burton, Alphonse Mouzon, Ron Carter and Chet Baker. Though his commercial fame didn't match some of his '60s-'70s guitar contemporaries, Coryell continued to tour the world and had planned an extensive 2017 summer tour with a reformed The Eleventh House. Coryell was born in Galveston, Texas, on April 2, 1943. He grew up near Seattle, where he began to play piano at the age of 4. In his teens, he picked up guitar, gravitating to rock music. Thinking he wasn't good enough to pursue a music career, Coryell studied journalism at The University of Washington while taking private guitar lessons. By 1965, he relocated to New York, where he studied classical guitar. He was influenced by Chet Atkins and Chuck Berry, jazzmen such as John Coltrane and Wes Montgomery, and the popular music of the day, including The Beatles, The Byrds and Bob Dylan. His debut recording on drummer Chico Hamilton's album The Dealer displays Coryell's melding of rock and jazz stylings. In 1966, he formed the psychedelic band The Free Spirits, on which he composed, sang and played the sitar. Three years later, he released two solo albums -- Lady Coryell and Coryell -- which mixed jazz, classical and rock ingredients. His most notable album, Spaces, came in late 1969. The guitar blow-out, also featuring John McLaughlin, is considered the beginning of the 1970s' fusion jazz movement. Coryell's most recent album, Barefoot Man: Sanpaku, was released October 14. The Eleventh House's new Seven Secrets LP is due to arrive June 2. His final original works included operas based on Leo Tolstoy's War and Peace and Anna Karenina and James Joyce's Ulysses. Coryell is survived by his wife, Tracey, four children and six grandchildren. A memorial service is being planned for Friday (Feb. 24) at the SGI-USA Buddhist temple in New York.